The vCenter Server availability could be necessary in most cases and critical for large environment (or where a lot of services depends on it). In small environment, usually, this not so critical, because most of the VMware functions still work also without vCenter Server (for more info see vCenter Server Design: Physical vs Virtual). See also: http://kb.vmware.com/kb/1024051 – Supported vCenter Server high availability options. Also see this post on Yellow Bricks (Protecting vCenter Server – HA or Heartbeat?) updated to Sep 2012. 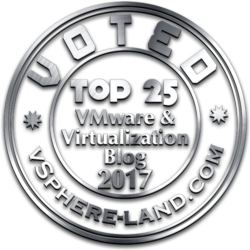 For more information see the official VMware HA web page. This solution is only usable when vCenter Server is a VM! IMHO, for small/medium environment I prefer the VMware HA solution… very simple and cheap (it’s included in all editions exept the Essential). To take it simple be sure to have also the vCenter DB on your VM, or you have to find a HA solution also for your VCDB. Note that VMware vCenter Heartbeat is no more avilable. In this case vCenter Server (the primary instance) could be a VM or a physical system. The secondary must be a VM! 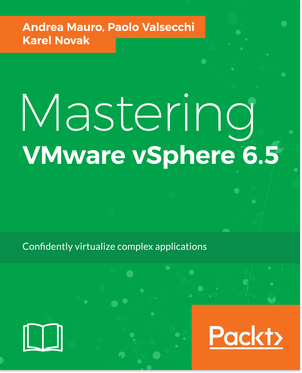 Optimize availability and resiliency for VMware vCenter Server in any situation. VMware vCenter Server Heartbeat delivers the maximum uptime for your virtual datacenter infrastructure, ensuring consistent operation, even when VMware vCenter Server is threatened by unplanned or planned downtime. See also: VMware to tackle vCenter availability with new Server Heartbeat. This solution is now unsupported! But will supported again with vSphere 5.5U3 and 6.0. 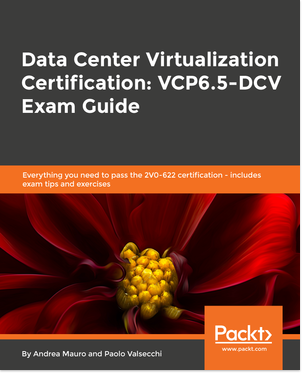 See: http://www.vmware.com/pdf/VC_MSCS.pdf and Reference Implementation: Clustering VirtualCenter 2.5 Using Microsoft Cluster Services. In this case vCenter Server (both the primary or the secondary node) could be a VM or also a physical system. To implement a Microsoft cluster solution you also need at least Windows Server Enterprise Edition (required to build a Microsoft Cluster). Note that vCenter Server 2.5 is supported only on Windows Server 2003 or Windows Server 2003 R2. Instead vCenter Server 4.0 is supported also on Windows Server 2008. Similar to this solution is the usage of other cluster solutions, for example Veritas Cluster: http://searchservervirtualization.techtarget.com/news/article/0,289142,sid94_gci1341780,00.html (but still will not be supported). Note: vCenter Server 4.x has not been qualified with third party clustering products such as Microsoft Clustering Service and Veritas Cluster Services. VMware does not support third party clustering products. This solution is unsupported in vSphere 4.x and 5.x! Why not use VMware FT for virtual vCenter server availability? Simple because vCenter Server 4.0 require minimum 2 vCPU (expecially if you have also a local DB). VMware FT actually can work only with VM single vCPU. So or you keep an unsupported vCenter Server (because for a small environment vCenter Server may “work” also with a single vCPU), or you cannot use VMware FT. In vSphere 6.x SMP-FT will be supported for vCenter Server for some use cases. For more information on FT see: VMware FT and also vSphere 6.0 FT.